In high school, I had a terrible three-year crush on a guy we’ll call “John.” Though unrequited, my epic crush on John prompted me to do things like spell his name in syrup atop my pancakes, memorize his volleyball serving technique (ten ball bounces then two steps forward), and spend the first weeks of post-freshman year summer break dissecting his cryptic message in my yearbook. Yeah, Usher. I had it baaaaad. But for all the energy spent loving John from afar, I never thought to put my brain to good use and draft a list of things I could do to make him fall in love with me. And that, dear friends, is the difference between me and Oliver Wendell Holmes, the endearing protagonist in best-selling author T.M. 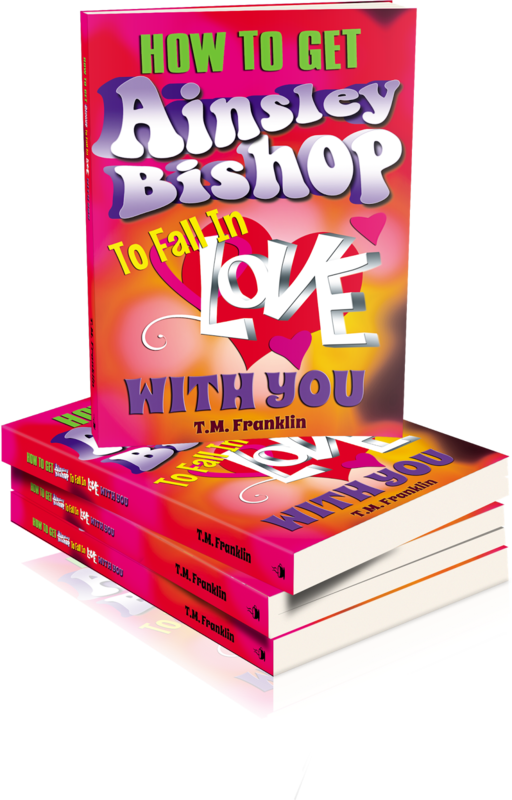 Franklin’s latest novel, How to Get Ainsley Bishop to Fall in Love with You. While the title might be a mouthful, the story goes down sweet and easy. This perfect beach read is engaging, touching, and laugh-out-loud hilarious. I inhaled the novel in a few hours and would gladly reinvest that time doing so again for the pleasure of spending more time with Oliver. Delightful, insightful, and adorably awkward, he’s the type of guy you wish you knew in high school. Or college. Or right now. If Oliver weren’t enough, Ainsley Bishop also boasts a fantastic supporting cast, among them Oliver’s skeptical yet supportive best friend Viney who keeps Oliver sane but not too serious as he pursues his lofty goal, and Oliver’s younger brother Sherlock Holmes, who is interesting beyond his noteworthy name and deserving of his own book (hint, hint, Ms. Franklin). The subplots and secondary storylines are an apt spice to this delicious story, adding just enough richness to fully satisfy the reader’s palette. Perhaps the most pleasant surprise lies in the title character herself. Ainsley Bishop is more than a pretty girl with an impressive collection of tennis shoes. Her flaws endear her to both Oliver and the reader, and as their relationship buds and blossoms, so does our hope to see it in full bloom before the story ends. You’ll have to read Ainsley Bishop yourself to learn if Oliver gets the girl. Either way, T.M. Franklin’s heartwarming, smile-inducing novel won this girl over, and I have no doubt it will do the same for you. Be sure to join me Thursday, June 19th where T.M. 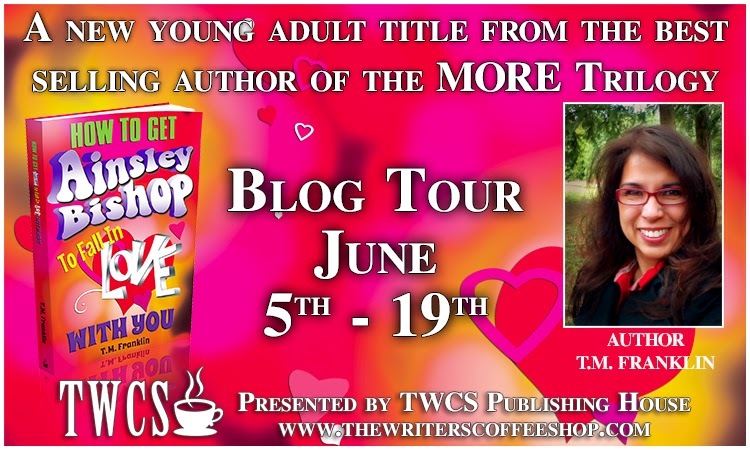 Franklin will be here for the final stop on her Ainsley Bishop blog tour, answering Seven Random Questions. Don't miss it!